Doublet opal pendant set in anti tarnish sterling silver. The opal has a gorgeous aqua colour with a pattern like flowing water, the opal alone measures 15mm x 8mm with the pendant measuring 26mm in entire length. 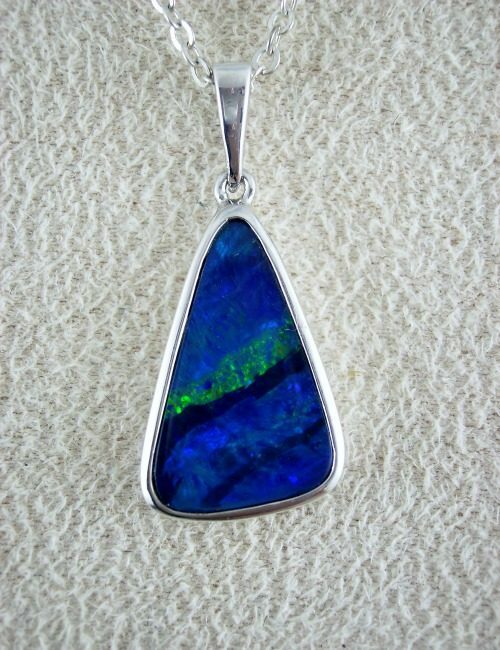 An eye catching doublet opal pendant set with anti tarnish sterling silver in a classic design with shimmery bright green and blue opal colours. The pendant measures 24mm in entire length with the opal alone measuring 15mm x 10mm. 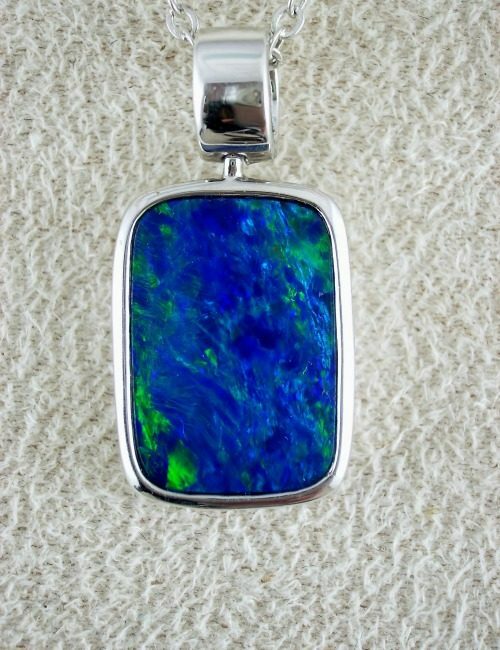 A striking doublet opal pendant set with anti tarnish sterling silver with shimmery bright blue and green opal colours. The pendant measures 25mm in entire length with the opal alone measuring 17mm x 10mm.